We know today the most wanted actor in K-town is our “Rockstar Surya”. 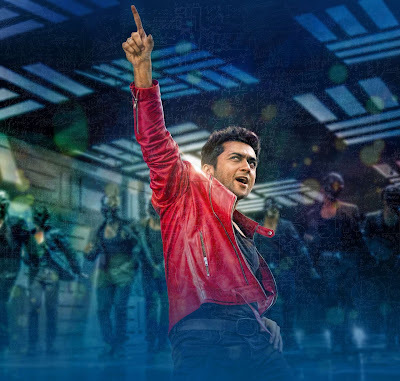 After “MaattrraaN” there are many projects are waiting for Suriya. § Singam 2, With Hari sir. § Unknown film, With Lingusamy sir. § An Action Thriller, With Goutham Menon Sir. § Ayan 2, With K.V. Anand Sir. Now we heard and confirmed that Surya sir signs for the big budget director Shankar sir. It will be on the floors after Singam 2 and Lingusamy film. Most probably Surya sir will act in Goutham Menon sir’s film and Shankar sir’s film simultaneously. Previously, Shankar sir approached for Surya sir for his upcoming film “I” but, because of the date clash between “Singam 2” and “I” the project was dropped, now Actor Vikram sir is acting in “I”. So, after this dropped project Shankar sir will direct another film with Surya sir. Looking a marvelous year coming ahead for Suriya sir, do you agree??? Whatever your views comment it write below. The readers and also I can see your views. Just comment Let the world knows what you want to say!! !